Patrik Lindström Darkwave, Gothrock First I have to say I'm not a dedicated listener to Mortiis. I have heard a few songs, but nothing more. So it was with an open mind that I put this album in the stereo and listened. I have to admit that I right away was positive surprised with the opening track "Parasite God". Synthized loops together with heavy guitar riffs in the background. There is also a wonderful choir in the background and creates both dept and feeling. The chorus really sticks fast. The album continues with well produced and well done tracks where the soft "Everyone leaves" is a fantastic element. 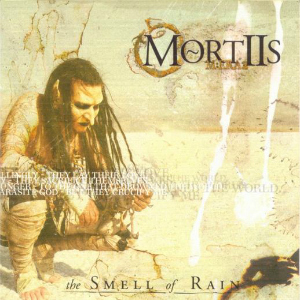 Mortiis voice works great with the choir and the other instrumental elements. Together they create a good symbiosis. First I have to say I'm not a dedicated listener to Mortiis. I have heard a few songs, but nothing more. So it was with an open mind that I put this album in the stereo and listened. The whole album has class and there isn't really any track that in some way lowers the other ones. Together with a design in real Mortiis spirit the production holds a high standard.